“I’ll just do that for you!”, or “you can’t do that, you shouldn’t be doing that!”. It’s something that happens to all of us who live with MS from time to time, other people relishing in making our decisions for us. Always with a gentle smile and only thinking of us. Obviously in total support. Surely it’s only fair. They only mean well. Right? I “suffer” from my MS so obviously need their help. That’s what these ‘decision makers’ like to think. But they’re terribly wrong. These are the kind of things that really annoy me. Because it excludes me and makes me feel small. Just because I happen to have MS, I seem to be denied access to society, to a social life and, not all that infrequently, to the world of work, too. We’re often made to feel like patients by other people, boyfriends and girlfriends, relatives and family members, even business contacts and colleagues, just pushed into the background as yet another sick person. People like me simply slip through the net. Others think I need pity, or that I’m unable to decide anything for myself. In the past, I’ve spoken to lots of people living with a variety of different illnesses, all of whom have shared the same negative ‘decision-making experiences’, so I know I’m not alone. What people often forget is the fact that we are quite capable of making our own decisions for ourselves. We, those living with MS, are all too aware of what we can do and, more importantly, what we want to do. But things aren’t always that straightforward. To other people, it sometimes looks as though life would be much easier for people living with chronic conditions like MS if they simply made decisions for us, rather than asking what’s important to us and what our own preferences might be. 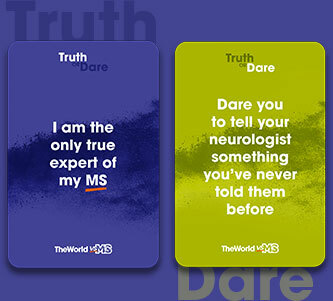 Instead of trusting people with MS, they convey a certain distrust through their own self-confidence by deciding what’s good for us. But that’s not what we want, quite the opposite, in fact. Whether it’s a trip that gets called off because the journey seems too long for us, or a job interview that’s cancelled because the boss decides an employee with MS just won’t work out, showing no interest whatsoever in hearing what that person actually has to say, or even making the effort to see them in the first place, that’s what’s happening. Things are simply decided, even if our valid arguments would lead to a completely different outcome. For them, those making the decisions, life goes on as normal. For us, those suffering the consequences of their decisions, it does not. In these kinds of situations, we’re treated differently, even though we didn’t ask to be. We’re part of every no and every veto, every enquiry interpreted negatively. We’re uncomfortable for people, and who likes uncomfortable people? It doesn’t matter if it’s about extra sports classes, or even decisions about therapy, we might look upon these things differently to how other people think we might. Ultimately, it’s unwelcome interference in our lives. So where are people going wrong? It’s about asking what’s important to us. Clearly, if we made every decision ourselves, things would go in our favour. What’s more, many of the decisions made for us are ill-informed. Information is neither requested nor considered. As always, we want to be making our own decisions, and we can make our own decisions. It’s our right to do so. Just because we’re going through life with MS, doesn’t mean we should give up our ability to make decisions, or have that right taken away from us. 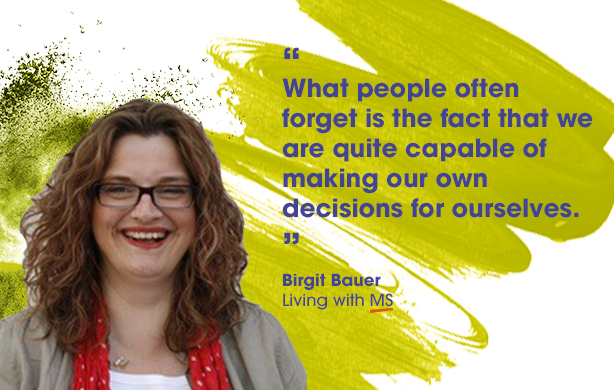 Living with MS means being aware, understanding and staying informed of what’s happening in our lives, and that’s exactly what helps us make our own decisions properly. For the most part, at least. A bad decision or two means a lot. That’s life. With or without MS. Ultimately, we have to accept the consequences of every decision made and live with it. For that reason alone, we shouldn’t have to accept what others simply claim is best for us. As for risks, they’re manageable. Our decisions might not please everyone, but it’s about what we decide for ourselves. Not whether other people are uncomfortable or unhappy about it. But I enjoy managing these risks myself. It’s about me and for my benefit, and who knows what’s best for me better than I do, i.e. what’s good and bad for me? For me, the risks are easier to bear than the consequences of other people taking my decisions out of my hands altogether.